Otto Cook is a great runner, but you won’t find him wearing a laurel wreath after the Boston Marathon or sporting an Olympic gold medal. You’ll have to look for him pulling at the end of a leash. That leash will likely be held by Lt. Col. Eddie Cook, a chaplain in the U.S. Army stationed at Fort Bragg and a 1992 graduate of NC State. 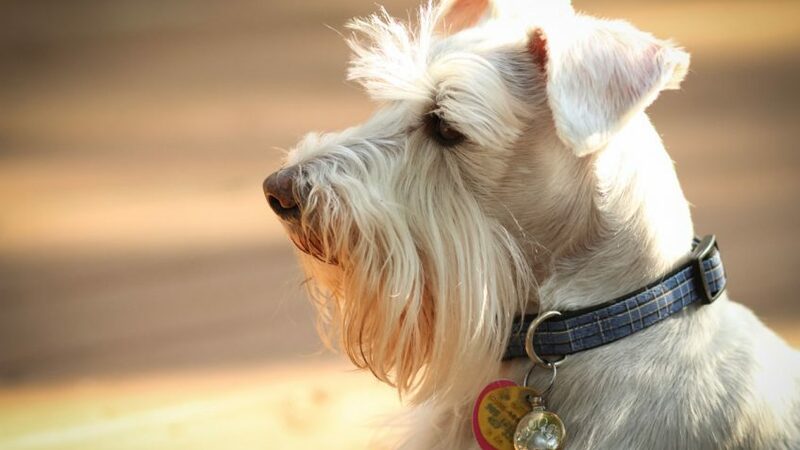 Otto is a 9-year-old miniature schnauzer who loves to go on six-mile runs for the pure joy of it. Otto’s difficulties were rapidly developing. By early June, Cook and his wife, Jenn, could tell that Otto was losing his sight. 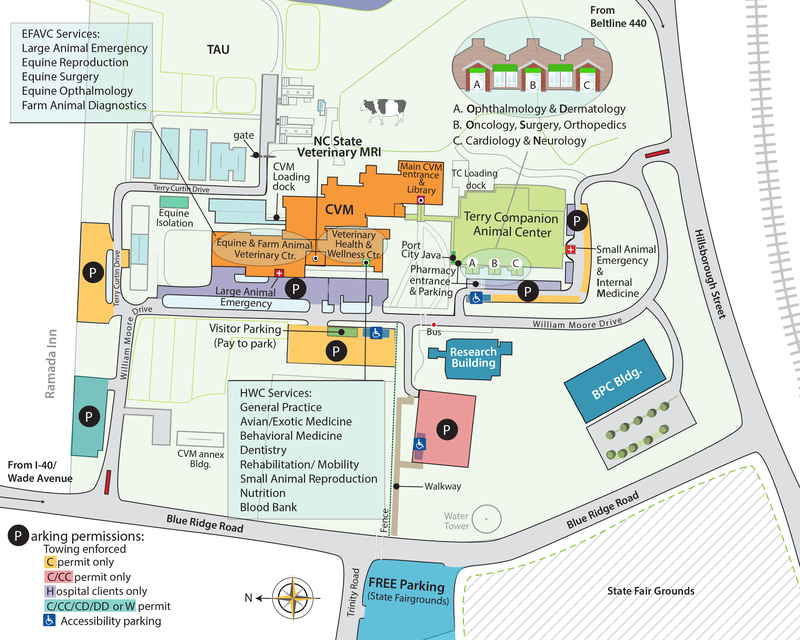 After taking him to a local veterinarian, the Cooks were referred to the NC State Veterinary Hospital. The initial consultation was with the hospital’s ophthalmology service, but after an examination and an MRI, the case found its way to radiation oncology. Working with resident Krista Kelsey and Mike Nolan, assistant professor of radiation oncology and biology, and head of the radiation oncology service, it was determined that Otto was suffering from a meningioma, a tumor arising from the meninges, membranes surrounding the brain and spinal cord. Pressure from the tumor’s growth caused Otto to become confused and disoriented. It had left him blind. Surgery was not a viable option. Adding drama to the situation was that Eddie Cook faced a deployment to the Middle East. The Cooks hoped Otto could be helped before his owner and running companion had to leave the U.S. This is the part of the story where the “extraordinary” begins. SRT involves delivering high doses of radiation with pinpoint accuracy through advanced imaging technology. Jenn Cook dropped Otto off for his SRT treatment in the morning. When she returned later to pick him up, she found him alert. When she took him outside, she immediately noticed a change in Otto’s behavior. “He wasn’t pulling on his leash the way he had been for a couple of months, and he was starting to act more normal,” she said. Otto’s rapid improvement continued through that evening. That night he was able to play fetch with a NC State squeaky toy. His progress was so amazing that the Cooks took a video and sent it to Kelsey. Doctors told the Cooks that Otto may be able to regain some sight in six months. There had been concerns about how long Otto might live. The expectations were measured, but the results were not. Otto’s improvement progressed so quickly that his prescribed anti-inflammatories were discontinued sooner than planned. “He was back to normal within six weeks to two months,” said Eddie Cook. Between Otto’s treatment on July 25 and Eddie Cook’s deployment on Aug. 3, Otto’s remarkable improvement allowed Eddie Cook to leave on an upbeat note, and by the end of the three-month assignment, it resulted in an even happier homecoming. The Cooks are people of deep faith, a fact that they are quick to cite in Otto’s case. “We prayed hard for Otto,” said Eddie Cook, adding that they believe the healing power of love cannot be discounted. Now, life couldn’t be better for Otto — especially when he’s tugging at the leash during those six-mile runs. “He’s a powerhouse,” said Eddie Cook.